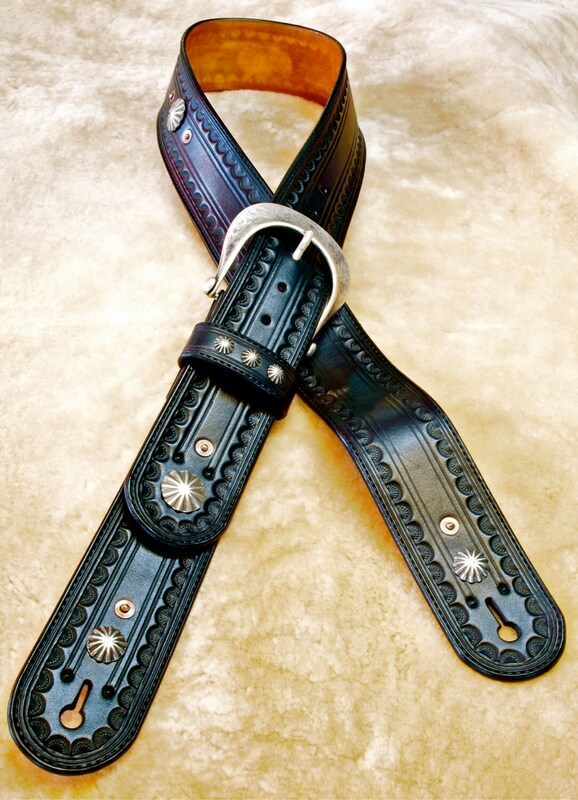 This Black Guitar Strap is completely handmade using heavy, fine Vegetable tanned Leather. 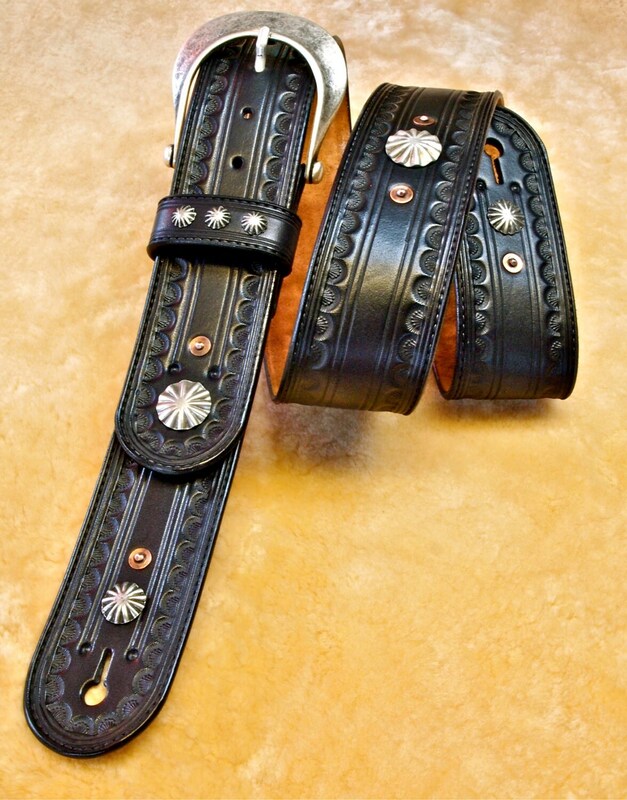 It is hand dyed deep black, tooled, aged and waxed using traditional American Old West techniques. At 2.25" wide, it's a perfect width that won't get in the way of throwing down on your axe! 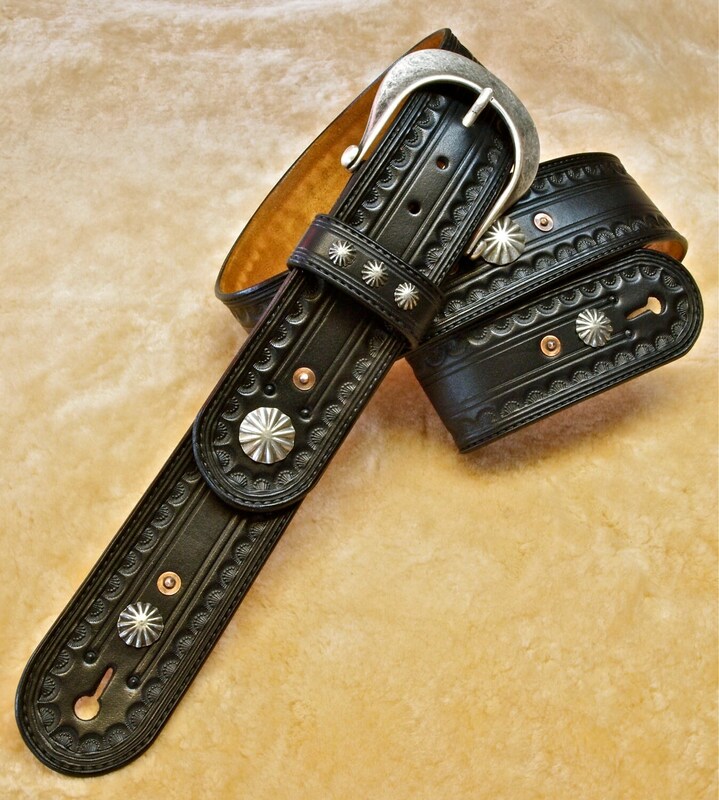 A beautiful hand aged nickel buckle sits right up front along with vintage American made conchos and aged copper rivets. Buying from me requires a hole to hole measurement from the strap you are currently using on the guitar. ( typically anywhere from 48-58" depending on how you strap your guitar) The perimeter of the strap is scribed and handtooled using a unique custom outlaw border, No electricity is used in the making of this custom Guitar strap !!! This is a special edition strap.